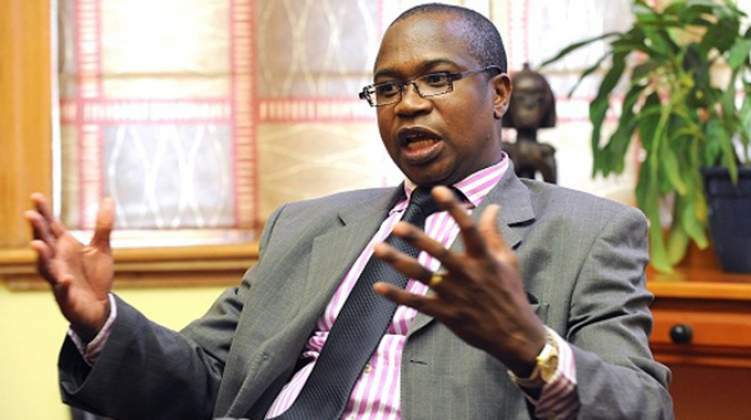 Finance Minister Mthuli Ncube said a rule requiring local investors to control platinum mines will be scrapped and foreigners will be allowed to own 100% in a bid to revive investment. "We are removing that indigenisation rule, which is discouraging foreign direct investment," Ncube said in an interview with Bloomberg Television in Washington. "We say Zimbabwe is open for business; you can only be open if you allow ownership of 100%." The new rules could be extended to diamond mining, Mines Minister Winston Chitando said in a separate interview on Wednesday. The change to policies introduced by former President Robert Mugabe will increase the appeal of Zimbabwe to the world's top platinum producers, including Anglo American, and could generate interest from Russian diamond miner Alrosa PJSC. Abandoning the requirement to transfer a 51% stake to locals is part of wider efforts to stimulate the southern African nation's economy. President Emmerson Mnangagwa has sought to water down some of the contentious rules of his predecessor as mining investment dried up. Zimbabwe holds the world's second-largest known reserves of platinum-group metals after South Africa, plus substantial deposits of gold, diamonds, lithium, iron ore, coal, chrome and nickel. The changes to the ownership rules would need to be ratified by parliament. Impala Platinum Holdings, one of the biggest mining investors in Zimbabwe, is waiting for formal announcements regarding the changes, said spokesperson Johan Theron. "We remain encouraged by ongoing efforts by the government to open the economy to investment and growth," Theron said in an emailed response to questions.